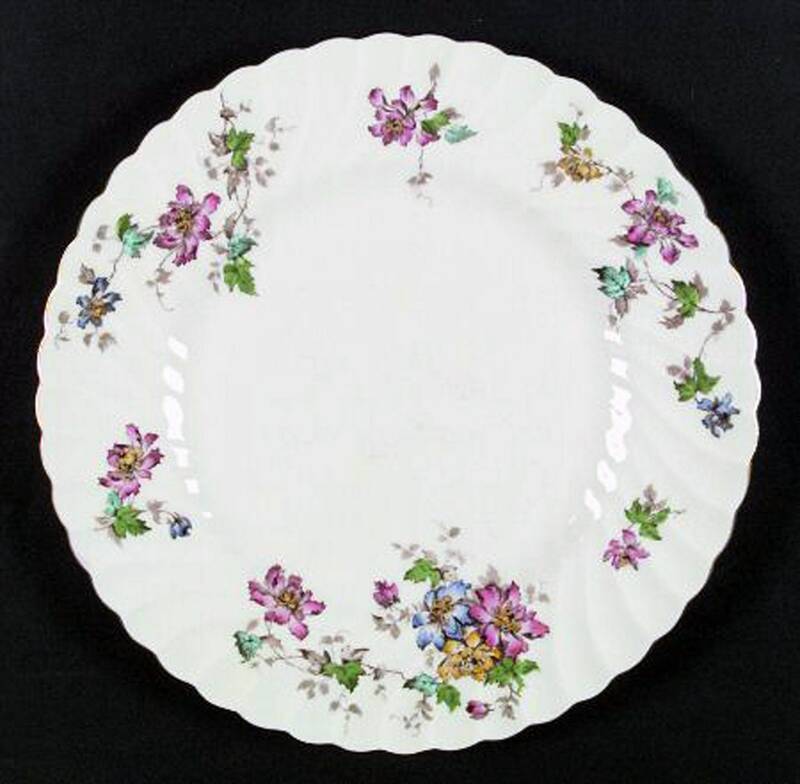 Vintage (1970s) Minton Vermont pattern S-365 large dinner plate. Red flowers, blue-green leaves, gold edge, swirled verge. 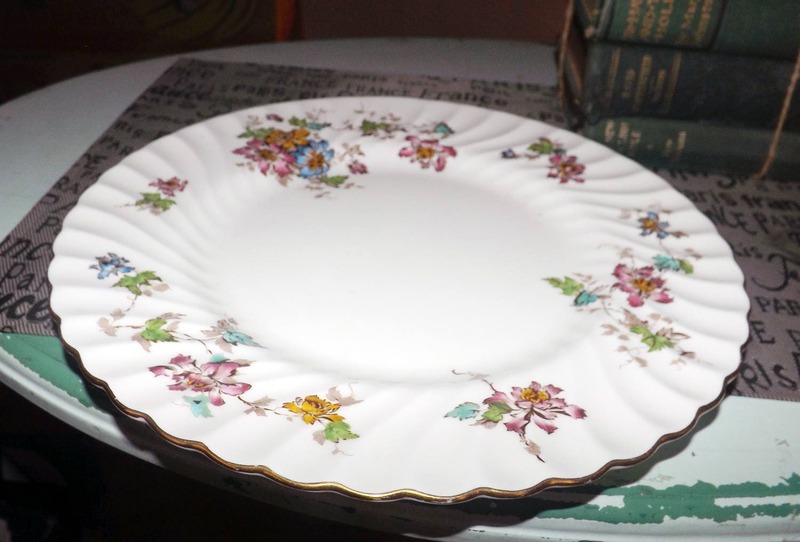 Vintage (1970s) Minton Vermont pattern S-365 large dinner plate or charger. 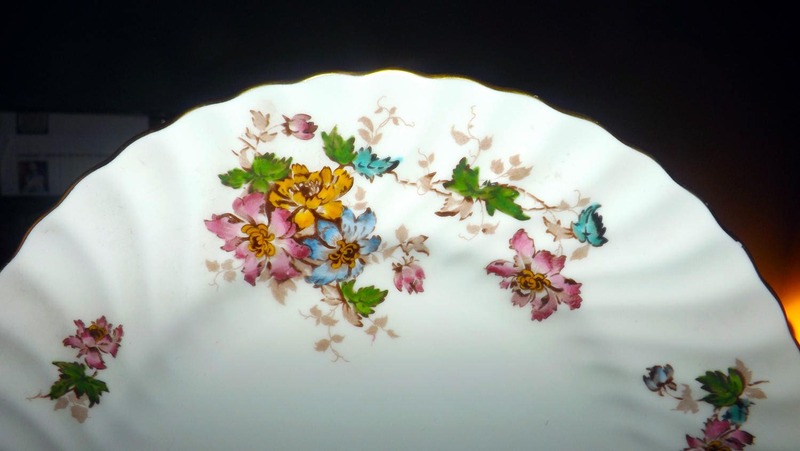 Vermont S-365 features pink, blue and gold flowers interspersed with blue, green and tan leaves and set against a ground of pure white with a scalloped, gold edge and swirled verge. In EXCELLENT! condition with NO! chips, nicks, cracks, or fleabites, NO! crazing, LITTLE TO NO! loss to the scalloped, gold edge and NO! marks, stains, scratches or other signs of use or wear. The red florals and blue-green leaves are bright and vibrant with MINIMAL! fading. 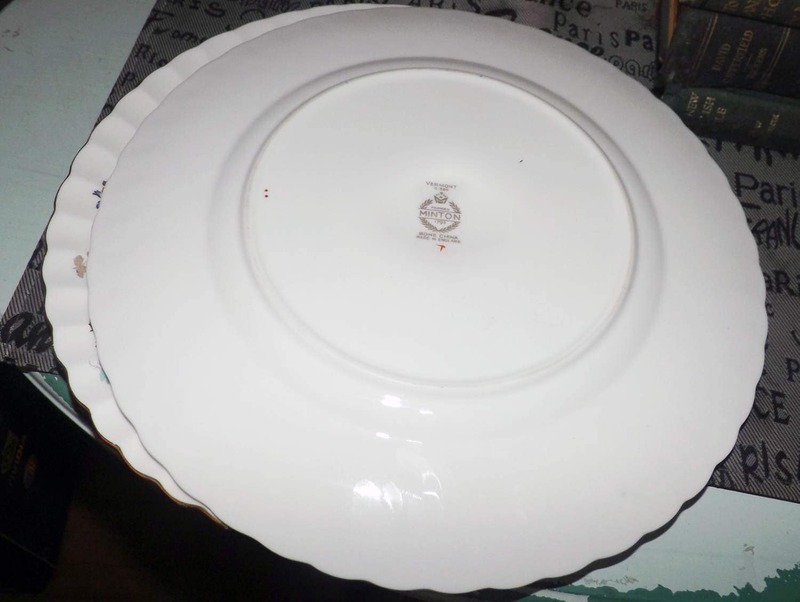 THIS LISTING IS FOR ONE (1) PLATE. 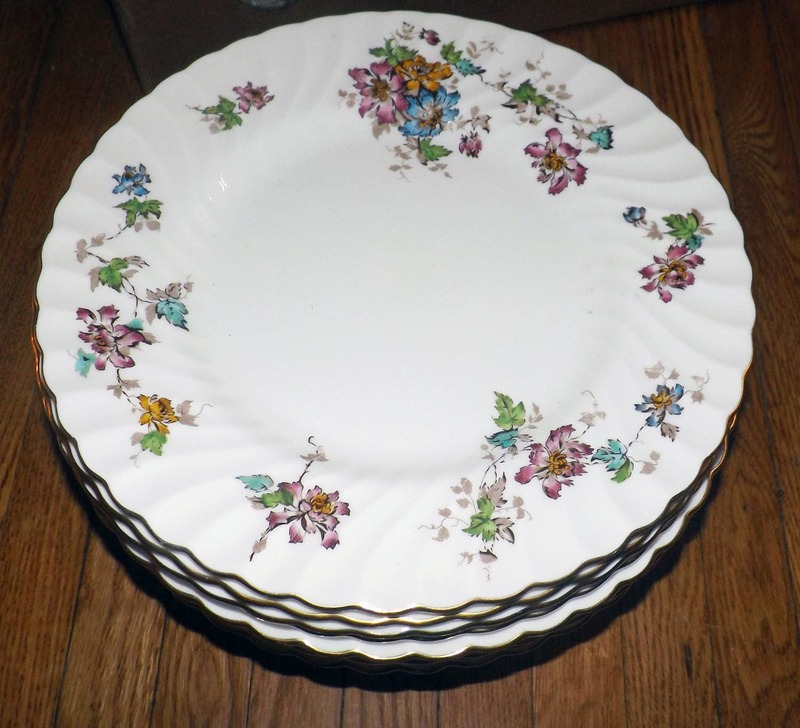 Currently, more than one (1) plate is available in the shop. 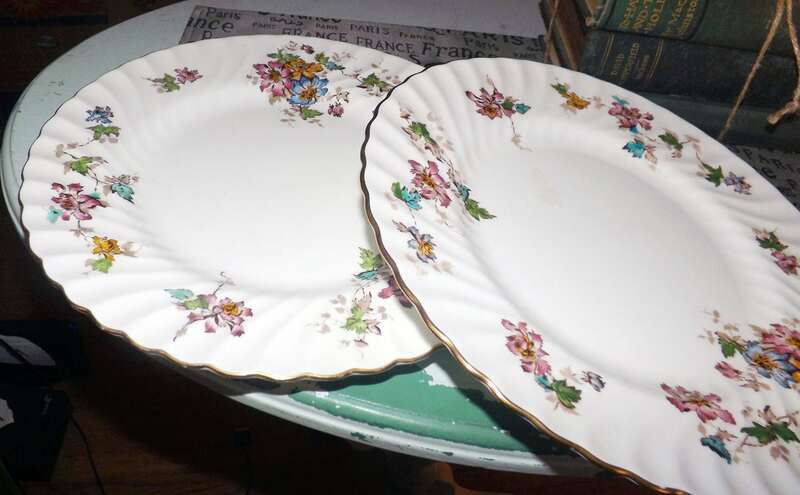 Approximate measurements: 11" in diameter with a scalloped, gold edge.